I'm Leslie Bowman (1virtualprof) author, editor, professor, instructional designer, living the laptop lifestyle. 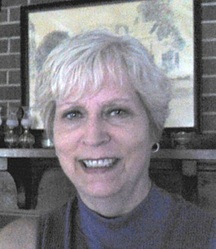 Leslie Bowman is a career educator whose experience includes public schools and college teaching, instructional design, and training and professional development for online faculty. Leslie Bowman is the author of Online Learning: A User Friendly Approach for High School and College Students and has presented topics in online teaching and learning at state and national conferences. Leslie Bowman designs and teaches online courses in Criminal Justice, English, Educational Technology, Communications, and Writing. Bowman, L. (2003) The OTHER Network. In J. Baker & K. White (Eds. ), Student Guide to Successful Online Learning: A Handbook of Tips, Strategies, and Techniques. Boston, MA: Allyn & Bacon. Quinn, B. (2009). Highlighting 10 Creative Professors Teaching at Online Universities. Woolsy, M. (2002). The problem with bullies. News For Kids. Atlanta Journal-Constitution. Kovalchick, A., Dawson K. (2004). Education and Technology: An Encyclopedia, Volume 1. Explore Teaching Strategies (2012) CITES. University of Illinois. InfoGuide (2012). Colloquia Resources. Pierce Library. Jusri, D. (2003). Significance of online teaching vs. face-to-face: Similarities and differences. In A. Rossett (Ed. ), Proceedings of World Conference on E-Learning in Corporate, Government, Healthcare, and Higher Education 2003 (pp. 1044-1047). Chesapeake, VA: AACE. Mulka, L. (2012). Checklist for Evaluating Elearning Courses. Online Learning Helpzone (2013). Renton Technical College LibGuides. Online Teaching Resources. How To Teach Online (ELearning Sites). Rich, C. How to Train Teachers To Teach High School Online. Online Education. eHow Education. RTC Library Materials for Online Learning and Teaching (2011). Renton Technical College Library Guides. Smith, T. (2005) Asynchronous discussion. Illinois Online Network. Teaching Online Courses: MVCC Libraries Resources. (2012). MVCC Libraries. Use of Online Discussions (Aka Bulletin Boards) (2012) CITES. University of Illinois. Wong, P. (2003). Tips for facilitating online asynchronous discussion. Valley City State University. Coordinate modular learning project that provides a process for students to work on specific academic writing needs in self-directed modules with a faculty coach rather than a traditional instructor-led, paced course. Responsibilities: o Serve as faculty coach for program participants. o Coordinate and collaborate with content faculty to identify individual student's academic needs. o Set up module/content and corresponding assessments. o Provide a written report on the outcomes of the current pilot and future considerations. o Begin development of faculty-as-coach model training for future coaches. Online Course Development and Instruction at NTB, Inc.
o	Implemented strategies to prevent theft by shoplifters, vendor representatives, delivery personnel, store employees. o	Conducted surveillance to detect and apprehend shoplifters. o	Conducted internal investigations including locating surveillance equipment to detect and apprehend employee theft. o	Conducted routine inspections of the facility to maintain physical security. o	Monitored closed circuit television systems. o	Maintained and rotated daily video surveillance tapes. o	Enforced company standards as they relate to security and safety procedures. o	Participated in the training of new hire associates in matters of loss prevention. o	Conducted safety and physical security inspections of internal and external premises. o	Handled difficult situations with diplomacy. o	Analyzed and evaluated situations accurately. o	Maintained routine records and documentation. o	Operated and maintained all equipment necessary to perform the job. o	Participated in questioning of employee-theft and shoplifter suspects. o	Cooperated with and assisted local police officers called in for arrests of suspects o	Prepared daily and incident-specific loss prevention and security reports o	Insurance Fraud: surveillance (university campuses, shopping malls, neighborhoods, workplace); video and eye-witness documentation; court testimony o	Child Custody (suspected neglect): undercover interactive (neighborhoods, summer homes at beach/lake/river, school pick-up and drop-off, shopping malls, grocery stores, analyzing daily/weekly trash); video and eye-witness documentation; court testimony. o	Missing Persons: interviews; records and data research. o	Pre-Employment and Background Investigations: interviews; records and data research (character, finances, criminal/civil activities). o	Physical Surveillance (local and out-of-town: business hours, overnight, weekend): digital cameras, video equipment, written hourly documentation. Writing, camping, traveling, and teaching.